With over 135 years of combined experience designing and installing solar pool heating, solar hot water, and solar electric (PV) systems, Universal Solar offers residential and commercial customers high-quality installations and repairs at competitive prices. We offer free consultations to determine your energy needs and find your ideal solutions. Serving all of Central Florida, including Osceola, Orange, Seminole, Lake, Polk and Volusia counties. USA Solar now offers the sonnon battery back up at no upfront cost. The sonnenBatterie eco is a declaration of independence for your home. The sonnenBatterie eco is an energy storage solution that utilizes intelligent energy management software. It is easily adaptable to your individual needs. The system is available in a variety of storage capacities and configurations, allowing for extensibility and expansion. sonnenBatterie eco allows you to save money every single day by harvesting energy from your solar PV system or the grid when it is cheapest, and using the stored energy from the battery to power your home when rates are more expensive. 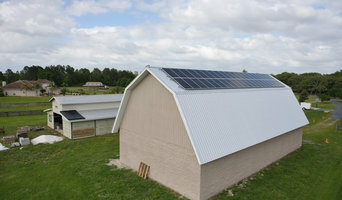 Superior Solar Systems, LLC. specializes in residential & commercial solar electric, water heating and pool heating applications. Founded in 1984 and with a portfolio of over 20,000 installations, we are among the largest solar contracting firms in America. Our dedicated staff and customer commitment, combined with the integration of the latest technology ensure our systems deliver the greatest possible return on investment, environmental impact and overall satisfaction for our clients. Our professionalism and service after the sale have earned us a reputation that is unmatched in the solar field. It is because of this that industry professionals as well as our customers confidently choose Superior Solar for their own projects and continue to recommend us to others. Professional Electrical Services (P.E.S.) 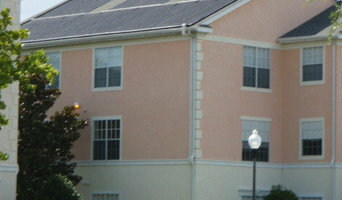 has a division that specializes in residential and commercial solar energy systems. Established in 1996, we are one of the few licensed installers in Florida that uses no sub-contractors. We are licensed to do the complete project. We are family owned and locally operated, right here in Central Florida. We are proud to have a dedicated and long term staff of highly trained sales and solar energy service technicians. We help homeowners in Central Florida to reduce or eliminate their electric bills, going solar or making some improvements like attic insulation, replacement of air conditioner, hybrid hot water system, and others. 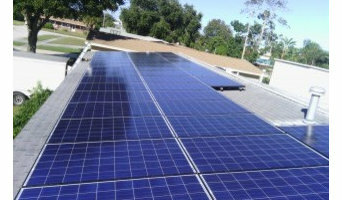 Solar-Ray, inc, is the only NABCEP accredited company in the state of Florida. A company dedicated to excellence in customer service and satisfaction. With the highest level of national training and a commitment to excellence Solar-Ray, inc. provides the highest performing systems and best value available. We have over 15 years in the solar energy industry. We help home and business owners evaluate their energy efficiency and provide solutions, financing plans, installations, and service. Florida Power Management is the premier Solar Company in Orlando bringing solar panels, energy efficiency products and energy storage to homes and businesses. We have helped thousands of Floridians from Orlando to Tampa become energy independent. We are passionate about solar energy and believe everyone should be free from rising electricity rates. At Florida Power Management we use our expertise to tailor a unique renewable and energy efficiency solution for each customer. Our size allows us to acquire the ideal equipment at the best possible price for your home or business, saving you both time and money. Contact us today for your free solar consultation. 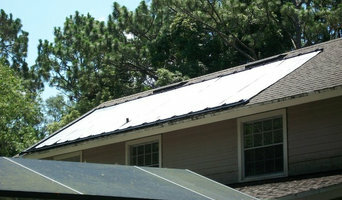 3 Guys Solar, LLC Is A Licensed Solar Installation Company Located In Orlando, Florida. We Are Founded On The Principles Of Honesty And Integrity Providing The Highest Quality Products With The Most Skilled Solar Installers. We know your home is more than a place of living, it's a place to build your future. At a time of rising electric costs, homeowners like you every day are choosing to invest in their home, invest in their energy, and invest in their future. We’ve made it easy to replace your electric bill with a simple fixed monthly payment for your solar panels. With zero dollars down, you can start saving today and invest in your future with a solar powered home. Installing solar panels on the roof of your Orlando, FL home can help you avoid the rising cost of electricity, increase the value of your home, and reduce your carbon footprint. Solar energy is clean and renewable, and government rebates, subsidies and grants encourage homeowners to make the switch. Solar power systems can heat your home, produce electricity and provide hot water so that your home is entirely self sufficient. So whether you want to improve your home’s energy efficiency, save money, or do your bit for the environment, use Houzz to find the best solar power contractor for your needs. The two main solar power systems are on-grid and off-grid. On-grid systems – also referred to as grid-tied and utility interactive – are connected to your mains power supply. If your Orlando, FL home produces more energy than it uses, your meter goes down and you generate credits with your energy provider (check your state government for details on any rebates available). On-grid solar panel systems have lower equipment and installation costs, and will save you money through net metering. There are three main types of solar panels that can can generate electricity for your Orlando, FL home: monocrystalline, polycrystalline and hybrid. The basic monocrystalline celled panels are fairly efficient and have outstanding performance in cooler conditions, but are marginally more expensive than polycrystalline, which works better in hotter conditions. Hybrid panels use crystalline cells with a thin layer of film, which attracts more energy. This makes hybrid models the most efficient solar panel installation, but also the most expensive. To talk about which solar panels are best for your home and how much energy they produce, contact an Orlando, FL solar panel company or installer on Houzz. Find a solar power contractor on Houzz. 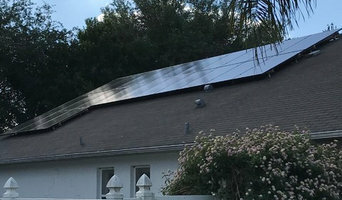 Search the Professionals section for Orlando, FL solar power contractors or browse Orlando, FL Photos of completed installations and then contact the professional responsible. Here are some related professionals and vendors to complement the work of solar power contractors: Lighting, Pools & Spas, Electricians.